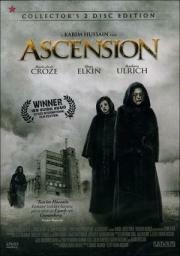 Three woman ascend stairs in search of the one who killed god in this post-apocalypse film. My intuition was that a full-length movie about three women climbing a staircase would be really dull. I was right. ADORABLE movie. Reminds a bit of "Stalker" by Tarkovski.